Diablo's non-woven buffer pads are made of superior quality for improved performance extended sanding life and increased productivity. The white non-woven square buffer pads are ideal for finish removal on various floor surfaces. These pads are to be used when removing light scuff marks and dirt while producing a gloss to finished floors. This Masonry Grinding Disc is for use in angle grinders and is designed for metal cutting. 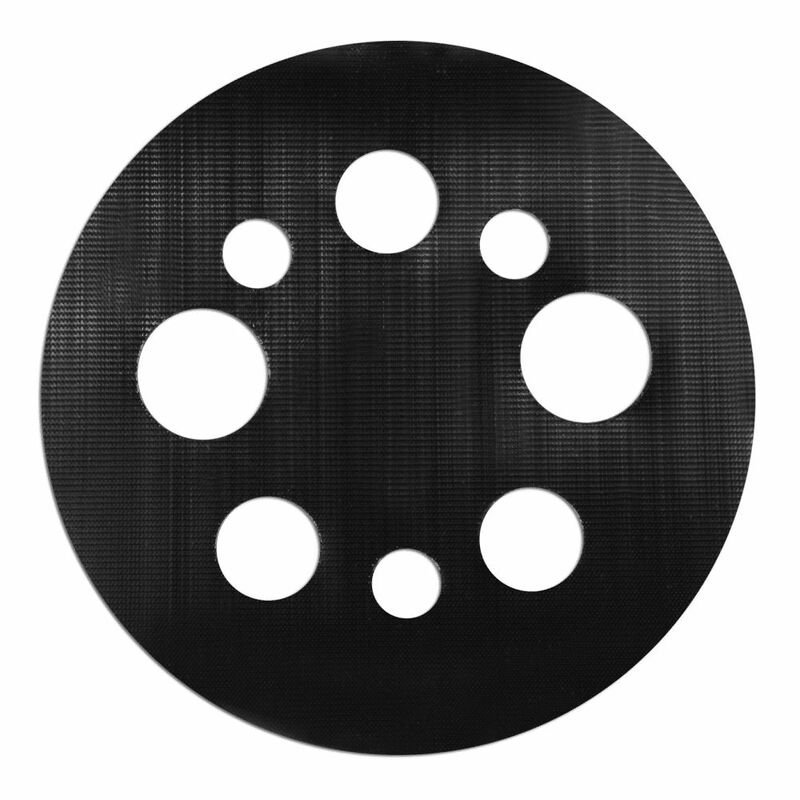 5-inch Universal Conversion Disc Diablo's premium sanding discs include breakthrough innovations that improve performance, extend sanding life and increase productivity. 5-inch Universal Conversion Disc is rated 2.8 out of 5 by 12. Rated 3 out of 5 by Bruce from Ended up not sticking as well as hoped. However, that’s... Ended up not sticking as well as hoped. However, that’s probably due to my base. So, I changed the base out to a hook & loop base. Rated 5 out of 5 by Paul from The pad holds loop abrasives securely and the adhesive back... The pad holds loop abrasives securely and the adhesive back adheres strongly to a clean surface. Rated 1 out of 5 by bigclams from does NOT convert hook and loop sander to sticky pad sanding discs. the waffle pattern is just tha... does NOT convert hook and loop sander to sticky pad sanding discs. the waffle pattern is just that...a pattern, with nothing for the hook 'n loop to bite into. Rated 1 out of 5 by Daniel from The item is not what I thought it was. I... The item is not what I thought it was. I needed a pad that converted a Hook/loop pad to a smooth pad for the sticky sandpaper disks. I thought that was what this was but it is in no way functional. Consequentially I am still looking for the right sanding pad adapter. Rated 1 out of 5 by justamom from Worthless. Stayed on the sander for 20 minutes, at most, and then went flying off. Worthless. Stayed on the sander for 20 minutes, at most, and then went flying off. Rated 1 out of 5 by Annie from I cleaned the pad on my orbital sander with alcohol, then securely applied the Conversion Sanding... I cleaned the pad on my orbital sander with alcohol, then securely applied the Conversion Sanding Disk. It held in place for about three days while I was sanding a large project, after which it flew off during sanding. I opted to glue it on with Gorilla Glue, thinking that would provide an extra layer of adhesion, but it, too, failed to properly hold this disc in place. In addition, the velcro surface isn't the best quality. Rated 1 out of 5 by Coleman from Needs better hooks. The hooks on these are weak. I've tried these many times to replace on my desalt and craftsman orbital sanders and they just don't hold the sanding pads on securely. The sanding pads just fly off. Too bad these are not of better quality, the sanding pads are the best! Rated 5 out of 5 by K38412 from Fixes worn out hook and loop facing I bought this to be able to continue using a hook and loop sander that the sandpaper was falling off of because the attachment surface was worn out. It worked great. New parts for my sander were only available online but I didn't want to wait, so this was a good alternative and it's stood up to heavy use.